« How are you lovin’ the time change? Hey all, I’m Sasha white, and I write White Hot Fiction in a variety of genres. Mostly, contemporary, and all with an edge of kink. That said, I’m not going to talk so much about MY books today, but instead, about what puts a book on your keeper shelf! For me it’s all about the characters. I think that’s why I read so many different genres. The books filling my shelves are from contemporary, paranormal, science fiction, suspense, thriller, romance, erotica, and even some non-fiction biographies and travel stories. To me, it doesn’t matter what word or universe the story takes place in, as long as I can connect with the characters. And I seem to be drawn to anti-hero’s. Like Gin Blanco in Jennifer Estep’s Elemental Assassin series. Or Kate Daniels in Ilona Andrews Magic books. 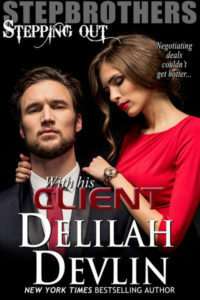 I love to read a series with secondary characters connecting them, and groups, like Delilah’s Dark Realm books, and Pamela Clare’s iTeam series. I’m not a super huge fan of Nora Roberts, (she tends to be hit or miss for me) but I’m a rabid J.D. Robb fan. (Yes, I know they’re the same woman.) Eve, Roarke, Peabody, Mavis, Feeney, Sommerset, and McNabb, they’re all like friends to me. Each of those series that I mentioned have characters who are real to me. Yes, I know vampires and werewolves and shape shifters don’t exist, but these characters are real because of the job did the author has done by bringing me into their minds and into their world. Once I’m drawn in I’m hooked. It’s not the cars they drive, the swords they swing, or the cities they live in that hook me. It’s them, the characters. Because this is the way I feel as a reader, as an author I strive to make sure my characters come alive on the pages, and, hopefully, in readers minds as well. Only you can tell me if I succeed or not, but I can tell you that when I’m writing they’re very alive to me. Each with their own voice and personality. However, when I’m writing, sometimes I have a hard time finding something that isn’t already on my keeper shelf to read. And it seems that when I’m in the middle of writing an intense story, I crave new-to me- stories. I have no idea why, I just do. But because I’m writing intensely, I seem to have less patience with the hit and miss of new-to-me-authors, even when I crave them. So, I’m asking you for YOUR recommended reads. What characters stick in your mind, and have earned a spot on your keep er shelf? Tell me in the comments, and be entered to win a $15 Amazon GC. Passion burns quick and hot between them and soon they’re caught up in an intensely carnal relationship that neither can deny. But when Olivia’s life is threatened and Adam shows her just how dangerous he can be, will it be too much for the civilized psychologist to handle, or will she truly accept the man and win her hero’s heart? This entry was posted on Wednesday, March 11th, 2015 at 9:22 am in Contests!, General. Tagged: Guest Blogger. You can feed this entry. Both comments and pings are currently closed. The characters that stay with me are the men from Maya Banks Sweet series. I have reread it probably 5-6 times. Damon Roche from Sweet Persuasion is my favorite! Hi! 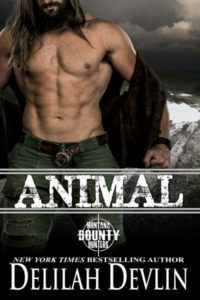 When it comes to dirty talking dominant possessive alpha males, It’s one of my go to books! As for books I keep returning too there are quite a few! 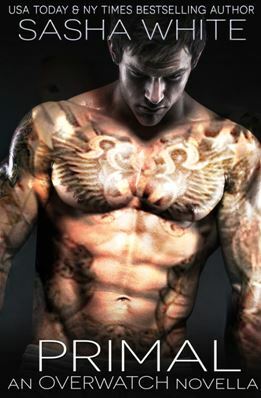 Angel, I’ve read Shelly Laurenston and really enjoyed her shifters, have yet to try the GA Aiken ones. Thanks for reminding me! Elaine, Thanks so much. You’ve got some familiar names and books on your list. Lynne, Knight is a favorite of mine. Motorcycle Man was pretty good too. I love her Rock Chic series. Maybe I should re-read them> LOL Thanks for the reminder! I know what you mean about Nora Roberts/JD Robb as I feel the same. I too read across genres and am a fan of character driven work. I love Nalini Singh, Eileen Wilks, Heather Long, Cathryn Cade, Joey W. Hill and a host of others. Oh and just so you know I am among those patiently awaiting the next Overwatch book. 🙂 That one totally did it for me. Also, her Mackenzie’s Mountain was pretty awesome, too. Character development is huge for me! Characters mean a lot to me as well. Many of the authors others have mentioned are favorites (including Delilah – this is her blog after all – lol). I have two recommendations for authors whose books have stuck with me. Jessica Scott writes books about men and women in the military, and she is in the military herself. Her Coming Home series are romances and I’ve not read any others quite like hers; the characters and their stories seem so real. They have stuck with me long after I finished reading them. Another favorite is Roni Loren. Her Loving on the Edge series is fantastic. I couldn’t stop reading until I had finished all that were published as of last summer. Lucky for me I had only recently discovered them so I was able to read one right after another and stay connected to the various characters.